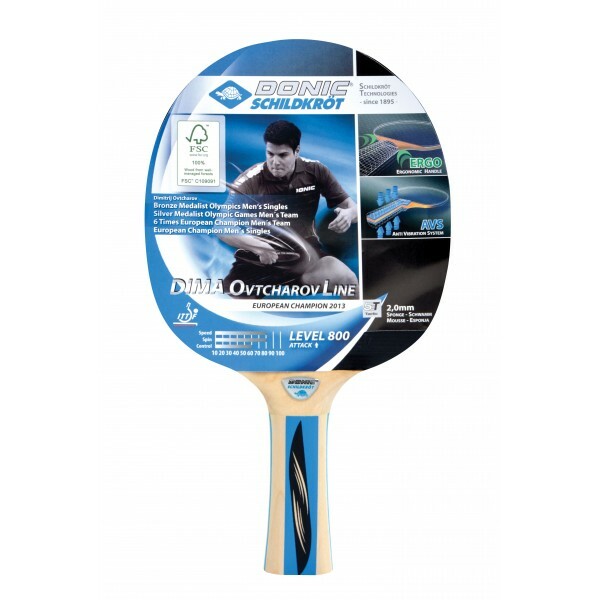 The Donic Schildkröt table tennis bat Ovtcharov 800 is an ideal table tennis bat for advanced playing techniques with good spin and high speed (ATTACK). 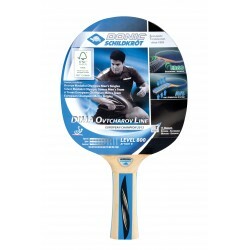 The table tennis bat convinces by innovative technologies and high-quality materials (FSC® wood). The table tennis bat Ovtcharov 800 featues a vibration absorbing Anti-Vibration-System (AVS), which reduces vibrations, when the ball bounces, and which provides a better ball control. The Ergo grip adapts anatomically perfectly to the hand shape. The rounded shape avoids bruises and offers a very comfortable grip experience.